Local musician Tad Wilkes, aka Moon Pie Curtis, was announced the winner of American Songwriter‘s lyric contest for their March/April issue. 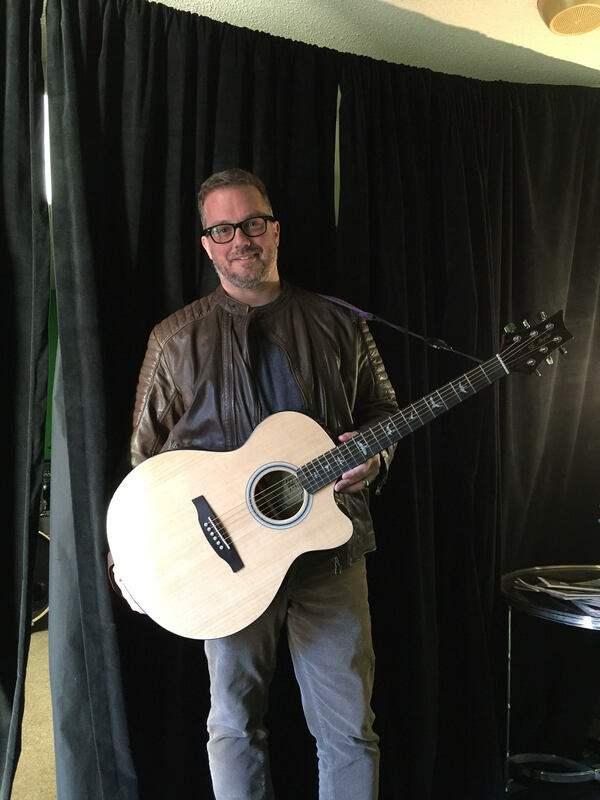 With over 600 submissions, Wilkes’ “Be Good to Your Woman” won first place, earning him a Paul Reed Smith A30E guitar and a Sennheiser E935 microphone. In addition he’ll be one of six songwriters in the running for the grand prize at the end of the year which is a trip to Nashville to co-write and record a song with Charlie Worsham. The song was inspired by some of the last words his grandmother said to him before she passed in 2001. Since then they have floated around his head, waiting to find a home in one of his songs. We spoke with him about the contest and plans for the song going forward. Tad Wilkes: Yes, I plan to put it out in some form in 2018, whether by itself or as part of a new album. How has your approach to songwriting evolved since the first tune you ever wrote? My first songs, when I was young, were of a piece—more humor-heavy, but for about the last 20 years I’ve been following a different path. There’s still a touch of humor here and there to pull the listener through the sad stuff. The approach these days is to listen to the universe for a great phrase or idea, and then write it. I don’t think the craft of songwriting is worth a hoot unless it starts with pure inspiration. The words from your grandmother that inspired the song have been in your head for several years now. How did it feel to get those into a song? The hardest ideas for me to get any momentum with in writing are the tough subjects. I can ponder those thoughts all day long, but expressing them in a way that doesn’t feel maudlin or trite is the hardest part for me. You can hear maudlin sap on the radio if you want, but that’s not why I sit down and make up my own songs. So, that line hung in my mind for years. I would make attempts to write a verse, and it just sounded sappy. Finally about 10 years ago, I wrote it, but the second verse was kind of an irritant. Instead of rewriting the verse, I finally deleted it and wrote a new one that fit what I was trying to say and finally gave some depth or backstory to where her advice came from—or at least where I speculate it may have come from. This may have been the first time where I was writing from the viewpoint of a woman, and not just any woman—my grandmother! I didn’t want to be one bit presumptuous about what she meant or patronizing. It’s one thing to make up a navel-gazing number about my own life, but it’s another to try to do justice to someone else’s almost-last words on this earth. The contest had approximately 600 entries. How did it feel when you got the news that you won? It felt incredible to learn that I not only placed but won first place, especially since the panel of judges is a who’s who of some of the most talented singer-songwriters and artists around. Any upcoming plans for Moon Pie Curtis? Just to keep writing songs. One of the prizes I won is a sweet Paul Reed Smith guitar, and I can already tell it has some new songs in it. After a while, if you play the same old guitar, the guitar will start bogarting the good ideas. This is science. You can ask Neil Degrasse Tyson. I mean, Neal Schon. What is the best way for people to hear your music? My 2015 album Enter the Fool is on iTunes, Spotify, Apple Music, and most other familiar outlets—whichever one you use, you can probably find it there. Follow Moon Pie Curtis on Facebook, Twitter, or his official website to stay updated.